In Maryland, a DUI and a DWI are not the same thing even though many people use them interchangeably. They are two completely different charges that have different consequences. Maryland has recently amped up their attempts to prevent drunk driving accidents and passed as serious of harsh laws and consequences for anyone who is pulled over for suspicions of driving while a bit tipsy. Driving while impaired (DWI) is a lesser charge that refers to anyone that has a Blood Alcohol Content level (BAC) between .07 and .08. Their BAC level is technically under the legal limit but they have other symptoms of impairment such as a failed field sobriety test, driving poorly. If the police officer believes that they are a danger, they could face criminal penalties such as 60 days in jail and $500 fine as well as a suspended drivers license. Driving under the influence (DUI) is a more serious charge that refers to anyone that has a BAC level of .08 or higher. 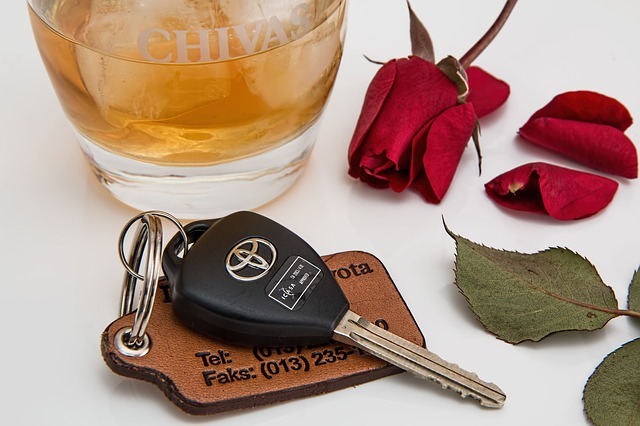 Criminal penalties for DUIs are much harsher than their DWI counterparts. For first-time offenders, they could face up to a year in jail, a $1000 fine as well as suspended driver’s license. Repeat offenders face longer jail sentences and heavy fines. Maryland’s criminal court will look back 5 years when determining to sentence, this means if you have a DUI after being charged with your first DUI before the 5-year limit, you will be eligible for the higher fine and jail time. Maryland also has a low tolerance for anyone under the age of 21. The legal limit for under 21 is a BAC level of .02. Commercial drivers also have a different legal limit of .04. Maryland is also what is known as an implied consent state, which means that you must take a breathalyzer test or you will be subject to a fine and have your license suspended. If you refuse to take the test, your license will be suspended for a minimum of 120 days. Being accused of a DUI can have a tremendous impact on your life, especially when license suspension and jail time are on the table for first-offenders. This is why it is imperative to hire a Silver Spring DUI Lawyer to go over the best options for your defense. In order for the prosecution to prove beyond a reasonable doubt that you were driving under the influence, they need to show that you were actively controlling the vehicle and in violation of the state’s legal limit. Your criminal defense attorney will create a defense that disputes the fact that you were driving or provides an explanation of your intoxicated behavior or finds a loophole to get your BAC test thrown out.